Sharon is a Trading & Portfolio Operations Associate with Heritage Wealth Advisors. She works closely with the Investment Advisory, Client Service and Operations teams to recommend investment solutions, monitor portfolios, and assist with the rebalancing and trading of clients’ portfolios. Sharon has over 20 years of experience in Operations, Trading, Investments, Accounting, and Administration. 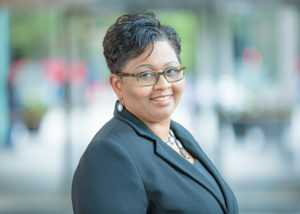 Prior to joining Heritage, Sharon worked as a Security Operations Specialist in the Trade Processing Security Master Group, as well as in the International Dividends Department with Wells Fargo Advisors. She also held a position with Keiter as a Financial Statement Coordinator. Sharon attended ECPI in Virginia Beach, VA and the University of Richmond.